Thanks to the love and generosity of our donors over the years, the Msgr. 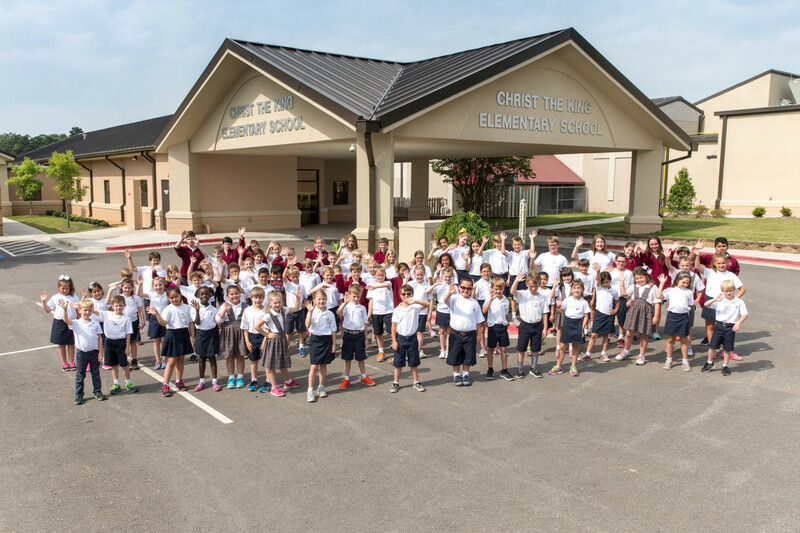 Hebert Endowment Fund has been able to support Christ the King Catholic School by providing needs-based scholarships for students, signing bonuses for staff and scholarships for teachers who wish to further their education. The Msgr. Hebert Endowment Fund was established in November of 1993. Its primary purpose is to create and maintain an identifiable fund for supplementing the funding of the educational programs of Christ the King Catholic School in order to provide continuing scholarship monies for needy students and to provide monies to reward faculty, enhance faculty salaries and reward their extraordinary efforts. The intent of the endowment fund is to provide a source of funding that may be necessary to address the immediate, specific needs of the school. The principal of the fund is never spent. Only the interest is used to provide a more certain future for Christ the King Catholic School. Make a one time donation or a recurring donation to the endowment fund. Click HERE to make a donation online. Remember the endowment fund in your estate planning. Support the endowment fund by attending events that are sponsored by the fund. $120,000 for needs based scholarships which helped a total of 46 students. $22,000 for teacher signing bonuses. $2,000 for the St. Thomas Aquinas Faculty Scholarship Fund.